A new-to-town delivery app is looking to let Richmonders stock the bar without leaving the house. 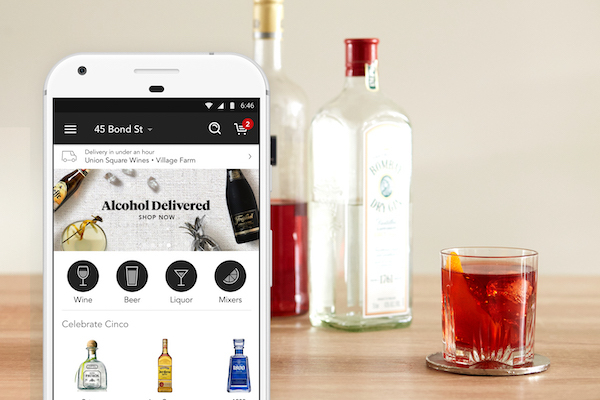 Minibar Delivery, a New York City-based alcohol delivery startup, launched in the Richmond area, specifically in parts of Bon Air and Midlothian, this month. The company delivers wine, beer and mixers ordered through its app or website. Lara Crystal and Lindsey Andrews founded Minibar Delivery in 2013 and launched it in New York in 2014. Andrews said their goal was to create the Uber for alcohol. Minibar charges a flat-rate $8 delivery fee, and delivers booze within two hours from when the order was placed. Orders over $100 have free delivery. Customers must be 21 years old to order from Minibar and must present a government-issued photo ID upon delivery to receive the order. Minibar does not leave an order unless someone is there to accept it. The company doesn’t keep warehouses of booze in each of its 40-plus markets. Instead, it signs contracts with shops to deliver their wine and beer. 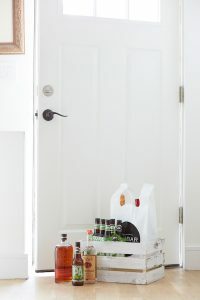 Minibar also offers liquor delivery in certain markets, but cannot in Virginia because the state controls such spirits. Minibar offers same-day booze delivery within two hours. Andrews said the shops it works with hire their own drivers and the full delivery fee goes to those shops. Minibar makes its money through contracts with shops. “It’s the store’s prices and products. They collect the money for the charge; we’re just the marketing and technology platform,” Andrews said. Thus far in the local market Minibar is working with national chain Total Wine & More to deliver to parts of Midlothian and Bon Air. Andrews said Minibar is aiming to expand into the city by the first quarter of 2019. “We’re looking to add more coverage into downtown Richmond and serve people who are kind of our perfect demographic,” Andrews said. Despite signing on with Total Wine & More, Andrews said Minibar primarily works with smaller shops nationwide. In addition to delivery, Minibar also offers event planning on its website, through which customers can book local bartending services for parties. Minibar is at least the fourth national delivery startup to launch in Richmond in 2018. GoPuff, Postmates and DoorDash all have rolled into town in the last year, and each delivers alcohol. In 2017, local bike courier service QuicknessRVA signed a deal with local bottle shop Growlers To Go to deliver growlers by bike around town.